All are welcome to come along and participate in this series of free classes on meditation held in Belmont, Thornlie, Bassendean, Fremantle and Sorrento using the technique of Sahaja Yoga. Try it and you will be surprised to see how much easier it is to get relaxed and thoughtlessly aware. * The basics of how to meditate. * Simple steps so you can meditate at home. * The benefits of meditation over relaxation. * Balancing yourself to improve your meditation. Plus other regular classes in throughout Perth - click here for details. Sahaja Yoga translates as 'Spontaneous Yoga' and is regarded as a form of 'yoga' and 'meditation' that can be easily achieved and can be practised everyday if desired as it does not involve any physical stretches. True meditation is experiencing a state of mental silence or 'thoughtless awareness' in which one is fully alert and aware but free of the unnecessary thoughts or worries that lead to many of life's day to day stresses. This state of silence occurs spontaneously when one learns how to focus on the experience of the present moment, leading to a state of peace and calm. Through a simple process, known as Self-Realisation (kundalini awakening), this meditative state can be quickly established, maintained and, most importantly, enjoyed! Sahaja Yoga defines meditation as a state where you are completely conscious, but at the same time completely without thought (thoughtless awareness). 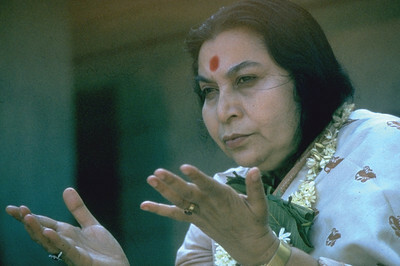 The founder of Sahaja Yoga, HH Shri Mataji, developed the Sahaja Yoga technique based on kundalini awakening; today there are Sahaja Yoga centres in almost 100 countries! This authentic meditation is steeped in ancient traditions, but the classes are simple, effective and practical. All lessons are free of charge and everyone is welcome. No booking is required. 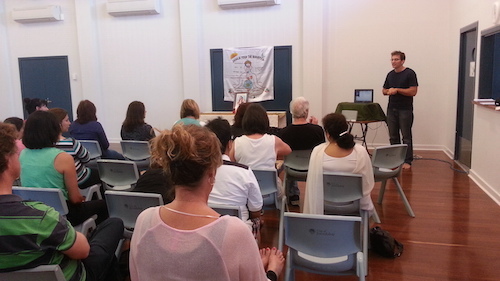 For more information on this series of classes, please visit www.freemeditation.com.au or call 1300 724 252.